Day 7 was a day where the shooting programme was largely dominated by the shotgun athletes. After the flurry of medals on Day 6, could Scotland add to their tally on Day 7? Kicking things off at 09.00 (midnight GMT) David McMath and Calum Fraser were both competing in the Men's Double Trap looking to qualify for the final. Both were competing in their first Commonwealth Games and coming off the back of a success 2017 with Calum selected to compete for Great Britain at the European Championships and at the ISSF World Cup while David equalled the Scottish record for qualification, beat the Scottish record in a final and most notably a 10th place finish at the World Championships in Moscow. On the back of this success both athletes were high on confidence but faced a world class field that included England's Steve Scott (gold medal in Glasgow 2014, bronze medal in Rio 2016) and Matt French (silver in Glasgow 2014) and Isle of Man's Tim Kneale (4th in Rio 2016, bronze medal in Delhi). After the first round both scots were well placed with David sitting in 2nd with 29 and Calum in 8th with 26. In Round 2 Calum was showing good consistency scoring another 26 leaving him in 12th while David followed up with a 25 but managed to hold on to 2nd place. Calum put in his third score of 26 in 3 rounds pushing him up to 7th after the end of Round 3 while David repeated his first round score of 29 cementing his 2nd place, 2 off 1st and 2 ahead of 3rd going into Round 4. Then a score of 24 meant Calum dropped to 12th on an overall score of 102, still a good score but 3 shots behind 6th so he had it all to do going into the last round if he was going to make the final. David mirrored the score from his second round scoring 25 leaving him on 108 and placed 2nd, four shots off 1st and one ahead of 3rd. The last round was going to be tense with a place in the final up for grabs! From the outset, Tim Kneale applied the pressure scoring 30 jumping him up the leader board but both Scots put in a strong finish with Calum scoring his best round with 27 finishing on 129 in 10th, missing out on a place in the final by 3 shots. David McMath however repeated his form from his first and third rounds producing his third score of 29 meaning he finished with a score of 137 which put him in joint 1st place with India's Ashab Mohd, Bronze medallist from Glasgow 2014, resulting in a shoot off between the pair to determine who finished top. - a fantastic achievement for both men at their first Games but outstanding for David finishing second and making it to the final! Going into the final at 15.45 (06.45 GMT) David had to hold his nerve if was to carry his qualifying form through to the final. In the final David got off to a slow start but his mental strength, as well his clear ability, came to the fore. David started to climb his way back up the field as the event went on and by about half through the final he was back in contention for a medal. The field was still tight and by the half way point it was clear any one of four athletes that included David, two athletes from India (including a Bronze medallist from Glasgow) and Tim Kneale from the Isle of Man (4th in Rio 2016, bronze medal in Delhi) could win the Gold. As the competition went on David showed nerves of steel as the other 3 gradually started to drop shots allowing David to climb his way back to the top. Two thirds into the competition David was back on top and gradually he began to build a lead as first one, then the second Indian shooters dropped off leaving Tim and David duelling it out for the Gold in the final stages. However, by this point David had built a healthy lead and despite dropping a shot, he held on to win the GOLD MEDAL by 4 clear shots with a final score of 74. It was finished what was a fantastic day of Double Trap shooting for Scotland. 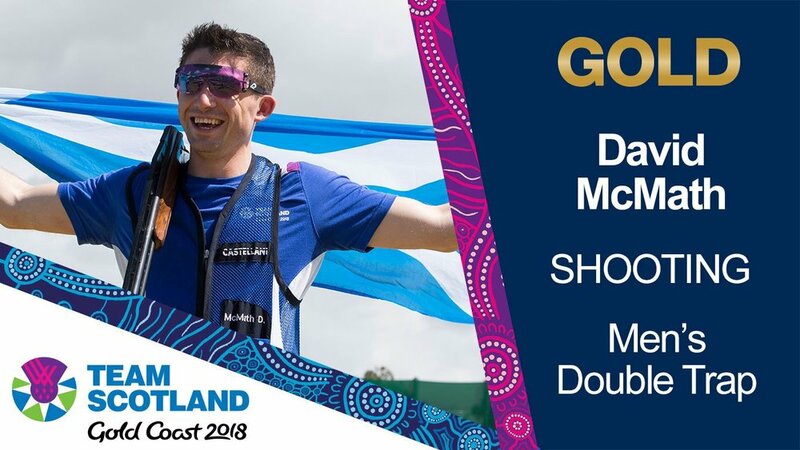 To top it off, David's Gold medal took Team Scotland to 30 medals, officially making it Scotland's most successful overseas Games ever - what a massive part shooting has played in that journey over the years! Less than 24 hours after their bronze medal success as a Pair, Ian Shaw and Sandy Walker were back in action at 10.00 (01.00 GMT) on Day 1 of the Queens Prize Individual Finals athletes compete at 300, 500 and 600 yards, distances Sandy posted impressive scores at during the Pairs competition but the challenge was always going to be refocusing after the highs of the previous day. For both Ian and Sandy they managed to refocus, with Ian in particular finding his stride so after 300 yards Ian was in joint 1st on 35-6v and Sandy was in 20th but not far behind on 34-3v. At 500 yards both Scots put in good performances and Ian finished with 35-3v leaving him on 70-9v, tied for 3rd but only 1v behind 1st. Sandy managed a score of 35-2v moving him to 19th but there was nothing in it as his overall score was 69-5v so it was all to play for going into the last round of the day at 600 yards. In his final round Ian managed a score of 34-2v and Sandy rallied on 34-5v leaving them with overall scores of 104-11v and 103-10v in 13th and 17th respectively. It meant Ian had dropped down the rankings slightly while Sandy was climbing up but both were still very much in contention with the top score coming from Australia's Jim Bailey on 105-15v. It left the competition finely balanced at the end of Day 1 with Ian and Sandy still both very much in the running for a medal. The last competition to get underway was the Women's Double Trap Finals starting at 10.30 (01.30 GMT) where Scotland's Linda Pearson was competing. Following good scores at events in Wales and Italy, Linda was looking to go as far possible in her first Commonwealth Games. Although the field wasn't as big as the Men's, it wasn't lacking in quality with two excellent shooters from India including Shreyasi Singh who won Silver in Glasgow 2014, two strong shooters from Australia and England's Rachel Parish who won Silver in this event in Melbourne 2006 and Bronze in Glasgow in 2014. She got off to the best possible start scoring 24 in Round 1 leaving her tied for 1st place. A really positive second round score of 25 meant at the half way stage it was tense with Linda in second, 2 behind 1st and with the same score as the athlete placed 3rd. In the 3rd round Linda dropped below the high standards she set in the earlier rounds scoring 18 meaning she dropped down to 4th with a score of 67 but still in medal contention, level on score with Varsha Varman from India in 3rd. That set up a really tense final round with Linda and Varsha both switching 3rd and 4th places but it was Linda who held her nerve scoring 20 in the final round to Varsha's 19 meaning that at her first Games, Linda was able to secure the BRONZE MEDAL! Well done Linda, what an amazing achievement, and your medal took Scotland on to 29 medals, equalling the best number of medals won by Scotland at an overseas Games. Getting the shooting programme underway at 10.00 (01.00 GMT) are Ian Shaw and Sandy Walker as they look to build on their scores and overnight positions from Day 7 as they compete for day 2 of 3 in the Queens Prize Individual Finals, looking to repeat the medal success achieved in the pairs. The competition format of the Individual competition means they have to repeat the challenge of shooting over 300, 500 and 600 yards. Then, later in the day at 14.00 (05.00 GMT) Jennifer McIntosh and Seonaid McIntosh are back competing 72 hours after the 10m Air competition as they look to win a medal in the Women's 50m Prone Rifle Final. Fresh from her experience of making the final earlier in the Games, Seonaid will be pushing to repeat or better her silver medal at the Commonwealth Championships held in Belmont back in November last year. However, she'll have her work cut out as the gold medal on that occasion was her sister, Jennifer, who will be looking for a repeat performance and result. Can both sisters come away with a medal and emulate the success of Neil who won a silver medal in the Men's event? 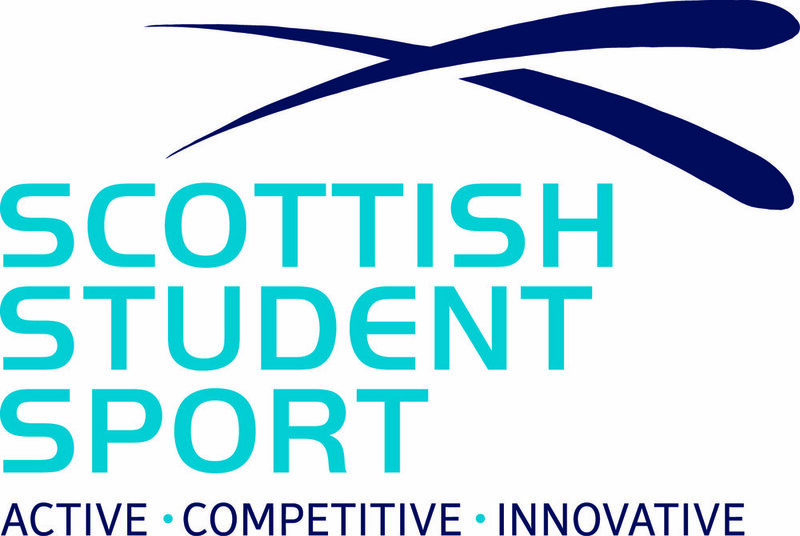 Once again, we wish all STS athletes all the best and in the blazing sun at Belmont Shooting Ground tomorrow!